The above still comes from My Favorite Wife, a film slightly more fun in point of fact than in point of watching. The central drive of the screwball comedy comes from Cary Grant's presumed-dead wife (Irene Dunne) suddenly returning on, wouldn't you know it, the very day he has finally remarried (to a none-too-pleased Gail Patrick). The film gets probably a little too much mileage out of Grant figuring out just how to explain the whole damn thing to Patrick, as Dunne manipulates any number of awkward interactions between the three of them (even when she's not in the room) to her eternal advantage, but the picture really turns into something upon the discovery that the circumstances of her survival - she was shipwrecked and stranded on an island for seven years - were greatly aided by the presence of another man. Even as Grant is playing down his desirability (he's a little more David Huxley than Walter Burns, though not as extreme as either), eclipsing this trait is no small feat, but one ably attained by one Randolph Scott, here the very paragon of exaggerated masculinity. 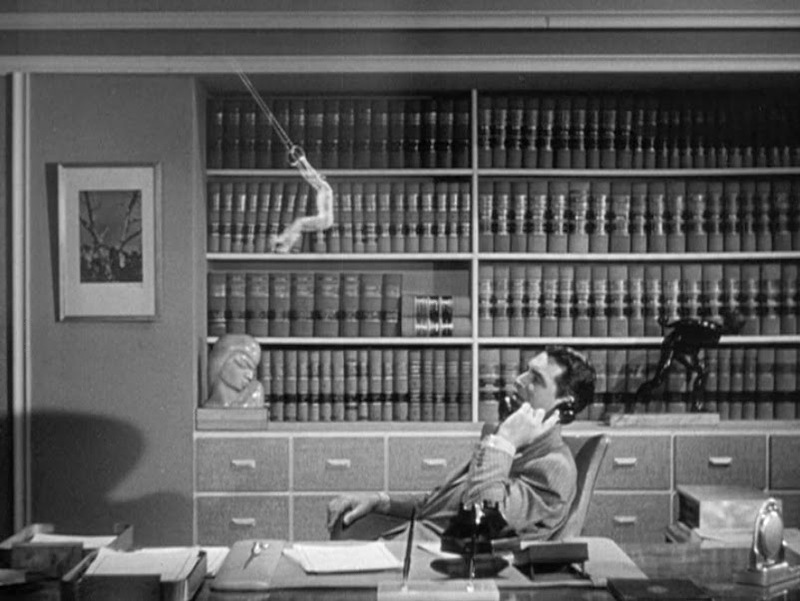 The above still comes as Grant reflects on some athletic feats he just saw Scott perform at the local club, and indicates some of the finer points in the film, and of screwball comedy in general, in its ability to reflect marital anxieties without being, well, so damn reflective about the whole thing. It's impossible to imagine such a picture being made today, in which a wife more or less comes back from the dead just as a husband has remarried, and getting away with it as comedy. The picture is not without sentiment (there are more than mere tonal similarities with the prior Grant/Dunne hit The Awful Truth, it must be noted), but those moments are inextricably bound with the comedy, and neither diminishes the other. Furthermore, that the wife character could have clearly carried on a romantic and sexual relationship, as difficult a sell as it must have been then (the censors' attempts to get RKO tone down such implications appears to have been completely unsuccessful), would be almost unheard of now. Modern sympathies would be automatically reversed, and, well, it's just a shame the way women get treated in movies these days, that's all. 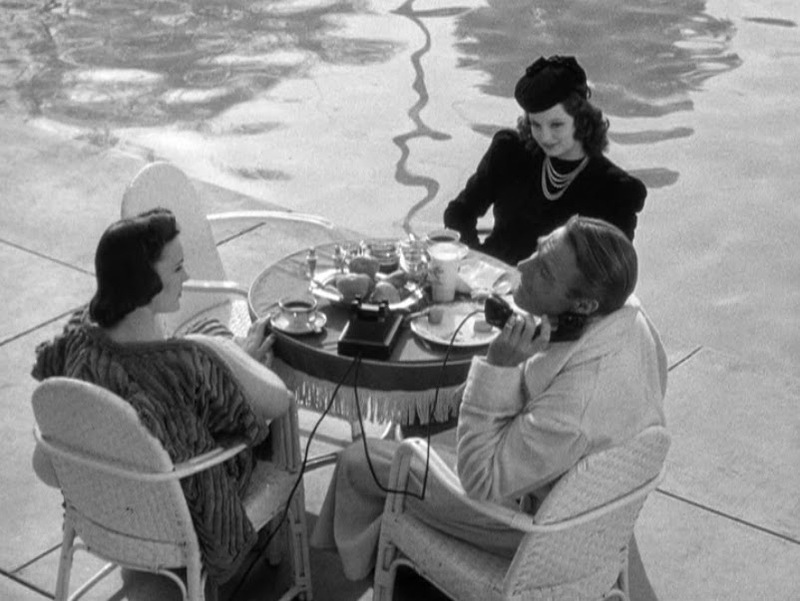 And furthermore, just what was Randolph Scott doing with those two women at the Pacific Club when Cary Grant starts spying on him? The film is credited to Garson Kanin, a more accomplished screenwriter than director (he wrote Born Yesterday, The Girl Can't Help It, and Adam's Rib, for starters), who stepped in for Leo McCarey (he of the great The Awful Truth) after the latter's near-fatal car accident. McCarey produced and co-concocted the story with screenwriters Bella and Sam Spewack, a husband-and-wife team who themselves apparently knew something of marital strife. I can't speak to the extent of McCarey's involvement on set (TCM's notes on the film say Kanin directed "portions"), but his brand of cleverly-framed sentimentality is more than a little informative here. Really structured and useful information. And everything is clear, thanks. http://www.iessaywriting.net/I looked through some posts and must say, they are very interesting. Best regards, essay writer. Sure, it Starbucks, and it has the resources to swiss replica watches encrypt the WiFi and to beef up security. But, people may not understand http://www.artabloom.com/err.html how easy it is to be fooled into security. For example, the Starbucks replica wathces that I regularly visit has WiFi that a bit confusing to get into and use. Several network rolex replica options pop up when you try to jump on the Internet. Because of that, you need to do some gucci replica trial and error to get online (or ask a barista). Since people expect this process to run smoothly, chanel replica it would be very easy for a cybercriminal to setup a dummy network, and watch the online activities replica handbags of the other patrons. Sure, Starbucks could encrypt its network and make hermes outlet it more obvious which network is the true Starbuck free WiFi network. But fendi replica, another way around this problem is to utilize a virtual private network for your public Internet connections. Finding the simplest resolution of automotive title loan debt is puzzling for several. automotive and automobile title loans ar given resolute customers whereas not intensive applications. they're simply gettable for many World Health Organization apply as a results of the loaner uses the consumer's automotive or truck as collateral. There ar typically no credit checks that suggests those creating an payday loans effort to borrow World Health Organization have unhealthy, low or no credit at intervals the slightest degree have constant chance of obtaining a loan with a automotive title loaner a bit like the various sort of loan.